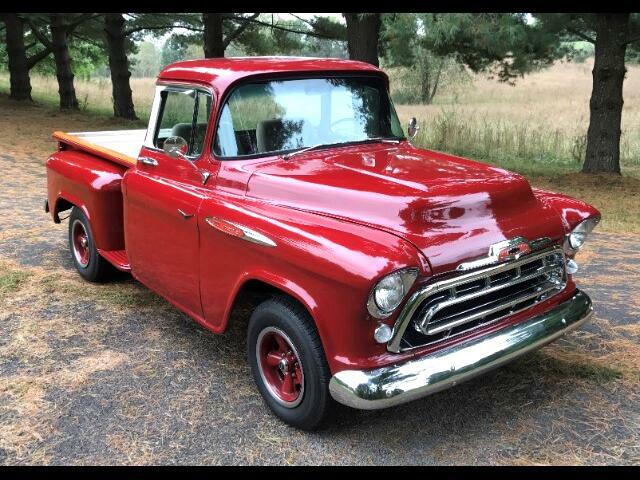 1957 Chevrolet 1/2 ton short bed pick up, that has had a frame off restoration. A new 350 cu in V8 Mr Goodwrench engine with automatic transmission, has been installed. All new interior, chrome, emblems, moldings, weatherstripping, and wiring. Has big back window option. Just a super sharp truck in every way.